Periscope 2019 is currently in session. Congratulations to the 20 talented artist entrepreneurs selected for this year’s cohort! Read more about them on the blog here. If you’re interested in applying for Periscope 2020, please email info@abcnashville.org to get on the notification list. In order to keep program tuition fees accessible for all, the Arts & Business Council is seeking additional individual and corporate support for the Periscope Scholarship Fund. Learn More OR Provide a scholarship today. 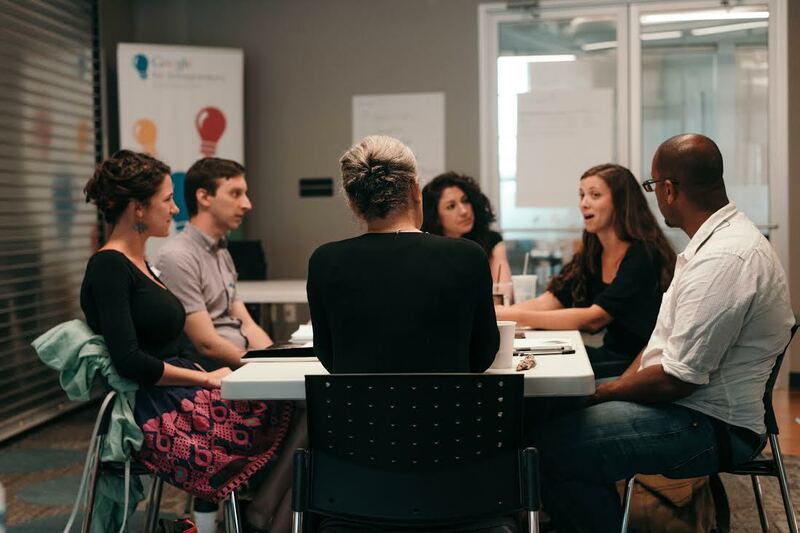 PERISCOPE is an eight-week intensive training opportunity hosted at the Nashville Entrepreneur Center (EC) that empowers working artists to see their vision through an entrepreneurial lens. 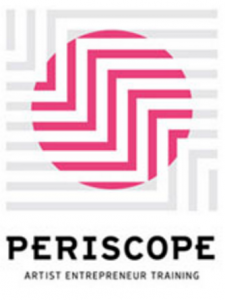 Led by the EC’s COO/CPO, along with break-out sessions facilitated with Nashville’s top arts professionals, Periscope is designed to be a transformative experience for each artist, sparking the moment when their career will really start to take off. WHO: The experience is limited to 20 artists, artisans, makers and creative entrepreneurs of all artistic genres. WHAT: An intensive curriculum that will explore tools to organize, plan, and sustain a creative career, with the goal of developing an individualized business plan to prepare each artist to take their creative endeavors to the next level. WHEN: Eight consecutive weeks from March-May 2019. Check out the class dates below! Get an introduction to goal setting before a fun networking mixer with current class members and Periscope alum. Focus on building a compelling unique selling proposition (USP) by learning from audience evaluations. The essentials of building a marketing plan and promoting your work. Use what you’ve learned to refine your business plan and next steps, and get comfortable pitching your creative endeavors to your audience. WEEK 2: What’s Your Idea? Analyze your current career position and identify what you need to build the brightest future for your art. Understanding your work, audience, and business structure to optimize the potential of your creative business. 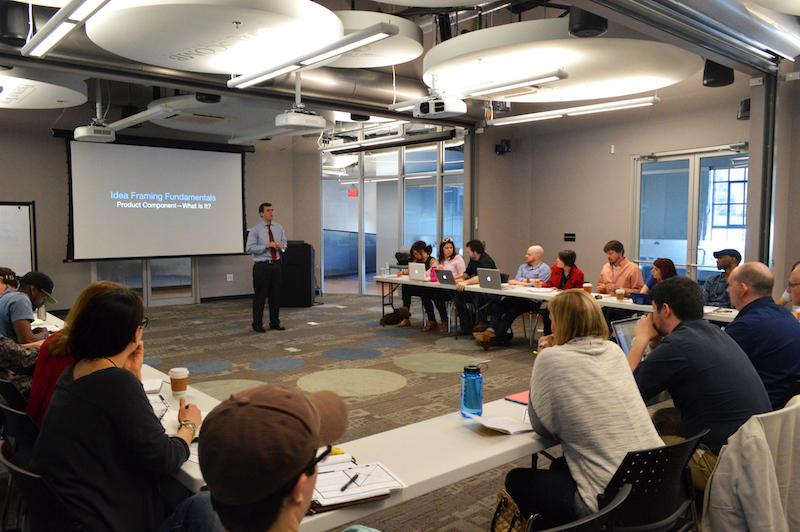 Walk through the basics of what generates revenue for you, pricing strategies, and long-term business planning. Discover the process of talking about your work in a way that will gain believers and make use of other people’s talents. Congratulations to the 2018 Class of Periscope Artist Entrepreneurs! Periscope Pitch was on September 6, 2018. Read more about the event and find out who won over on our Facebook Page!